As part of a new initiative we will be highlighting the careers of some of the players that made us fall in love with the beautiful game. Every week we will take a look at the career of a football legend worthy of honour and profile their amazing stories. This week we look at the career of one of Africa’s most successful players. 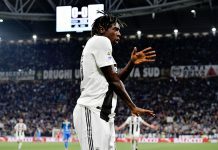 His trophy cabinet currently houses a UEFA Champion’s League medal, UEFA Cup medal, League titles and cups from England, Holland and Italy as well as an Olympic gold medal and the African Player of the year award. Our legend this week is none other than Super Eagles forward Nwankwo Kanu. The man who made a name for himself with several stunning cameo appearances for the Super Eagles as well as at club level. Born in Owerri the lanky forward started his professional career at Iwuanyawu Nationale (now Heartland FC). After representing Nigeria at the FIFA U17 World Cup-winning the cup and finishing with 5 goals- he was snapped up by Louis Van Gaal’s Ajax. He would go on to lift the Eredivisie title 3 times in a row and also the Uefa Champions League in 1995. 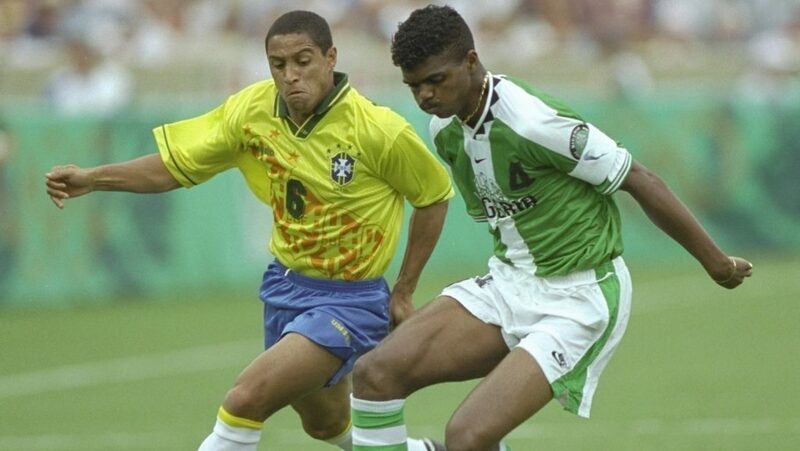 In 1996 he was Nigeria’s hero in the semifinal of the Atlanta ’96 Olympic games. He came alive in the dying stages of the game to score a late equalizer as well as the winning goal. 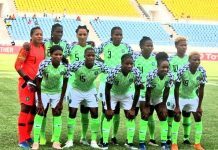 With his efforts Nigeria ousted a highly fancied Brazillian team which contained players such as Bebeto, Ronaldo, Rivaldo, Dida, Aldair, and Roberto Carlos. The Dream Team would go on to lift the trophy defeating another South American Heavy weight, Argentina, in the final. After his stellar performances at the Olympics, he was snapped up by Italian giants FC Internazionale Milano. It was at Inter that the heart ailment which threatened to end Kanu’s career was discovered and he underwent surgery to replace an Aortic valve. However, he made what he described as a miraculous recovery and was able to return to the club in 1997. He dwelt at the San Siro for a season and a half after that and picked up a UEFA Cup medal for his troubles before moving to the club where he would really come of age. Yup, you thought right, Arsenal FC in England. 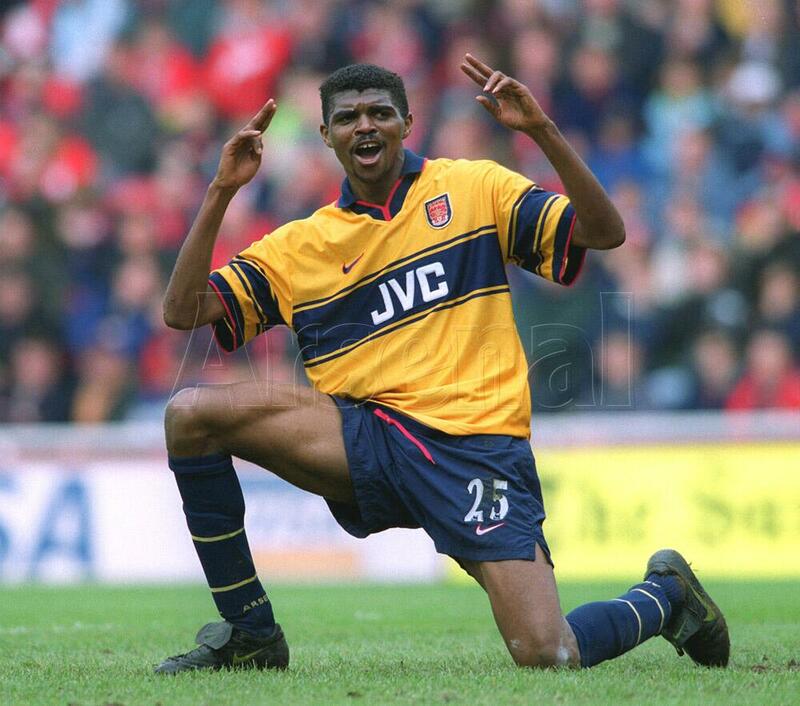 At Arsenal Kanu was a key component for the team and was their super sub supreme. Until a few weeks ago Kanu held the record for the most goals for Arsenal in the Premier League as a substitute. He was adored by fans and respected by his peers. He was most famous for his hat trick at the home of London rivals Chelsea when he scored a 15 minute treble to steal all 3 points for the Gunners. The 3rd goal was an absolute gem that saw him steal the ball on the left flank, dash to the goal kick line, leave Chelsea goalie Ed de Goey on his backside before (while still on the goal kick line) somehow finding the top corner and beating 2 defenders on the line. “Papilo” as he is often referred to, would go on to win 2 English FA cup medals and 2 English Premier League titles and also 1 FA Community Shield. He was also part of the Invincibles team that went the entire 2003/2004 season unbeaten. After leaving Arsenal, he endured 2 tumultuous years at West Bromwich Albion before moving to Portsmouth where he would claim a third FA cup winner’s medal, scoring the winners in both the semifinal and final ties. On the international scene, Kanu racked up 86 appearances for Nigeria between 1994 and 2010. At the time that was a National Team record (since surpassed by Joseph Yobo and Vincent Enyeama). The lanky forward was with Nigeria at 3 World cups, 6 African Nations Cup tournaments and collected a silver medal at the 2000 Nations Cup tourney. He was instrumental to Nigeria winning the 1993 U17 World Cup, 1995 Afro-Asian Cup as well as the 1996 Olympic Games football gold medal. In the year 2000, Kanu launched the Kanu Heart Foundation with the aim of helping Children with Heart diseases. The foundation still helps many Children receive treatment that they would otherwise be unable to afford. “I played with some amazing players at Arsenal. Dennis Bergkamp, Thierry Henry, Ian Wright, and I tell you what, Kanu was frightening. You couldn’t get the ball off him! In training, people would bow at him, he was so good,” former Arsenal player Julian Gray. Papilo was loved for his easy going nature on and off the pitch and admired for his calmness on the ball, impeccable close control and a plethora of silky skills. He will be fondly remembered by Nigerian football fans as well as Arsenal FC fans. Fans of the North London side in 2008 voted him the 13th in the Arsenal’s Greatest 50 players poll. Previous articleWanted: Which Fancy Forward Will Pop Up Next For Atletico?